This week, ONE and Accountability Lab bring you the 2014 Honesty Oscars. Each day this week, we’ll bring you a different category of contenders, from Visual Effects to Best Picture – people and projects who are increasing accountability in new and creative ways. Vote for your favourites, and we’ll announce the winners on Oscar night – March 2nd. Today, we unveil the first category in ONE and Accountability Lab’s Honesty Oscars: Best Visual Effects. 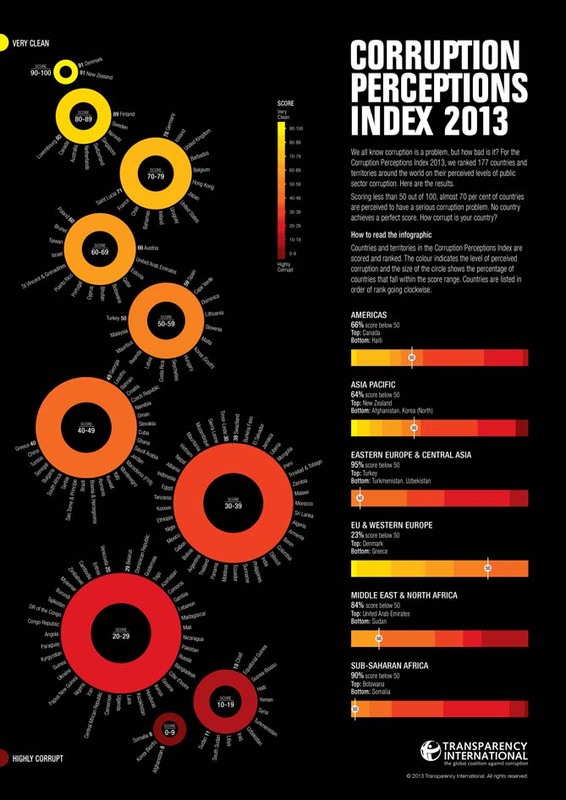 Like the Academy Awards, this category honours animation and special effects – but for our purposes, we have chosen five infographics that best communicate global transparency and corruption statistics through graphic design, interactivity and data journalism. Scroll through the five nominees, then vote for your favourite at the end of the post. Transparency International’s CPI has been ranking countries by the perceived levels of corruption since 1995, but has recently excelled at making its data interactive. 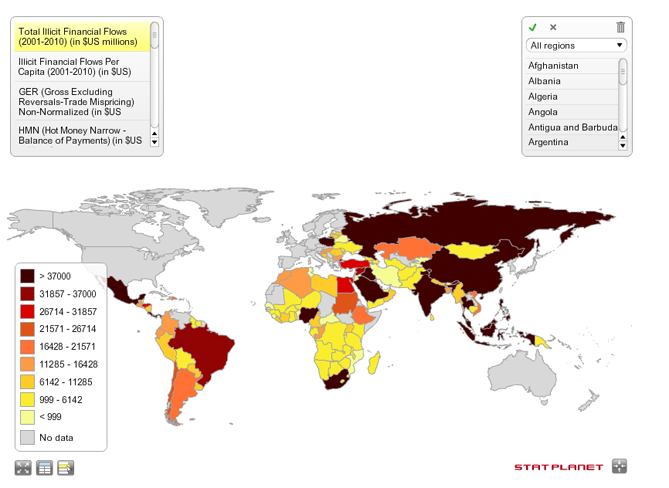 The cross-border flow of money that is illegally earned, transferred, or used is illustrated in this interactive heat map. Open Corporates used open data to visualise the corporate networks created by the six largest US banks, illustrating the need for corporate transparency – something ONE is campaigning for. 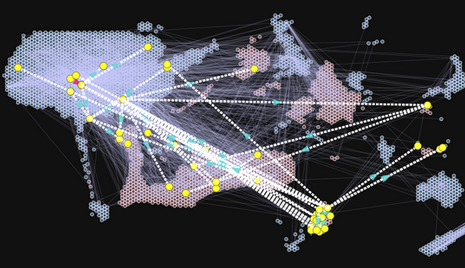 Check out the interactive version, switch from bank to bank or isolate a country to see the web of relationships. This infographic visualises the results of the last Open Budget Survey, which measures the transparency of budgets around the world. 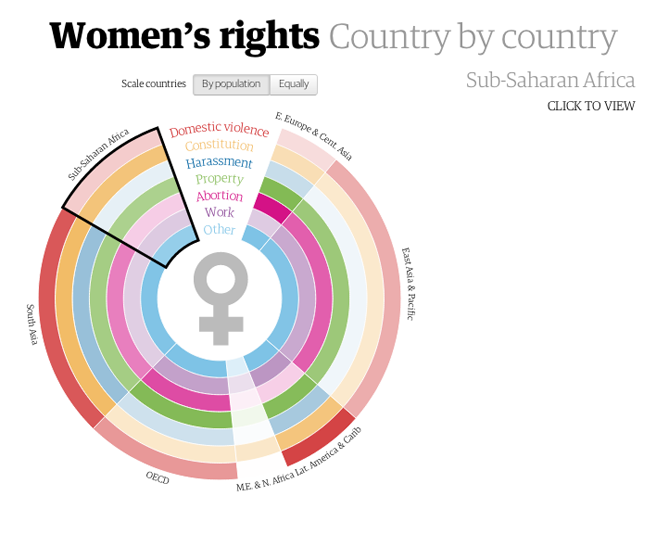 This colorful interactive graphic contains data on women’s rights breaking data down by country. Check out the interactive version. Come back tomorrow to check out the of nominees for Activist in a Leading Role!